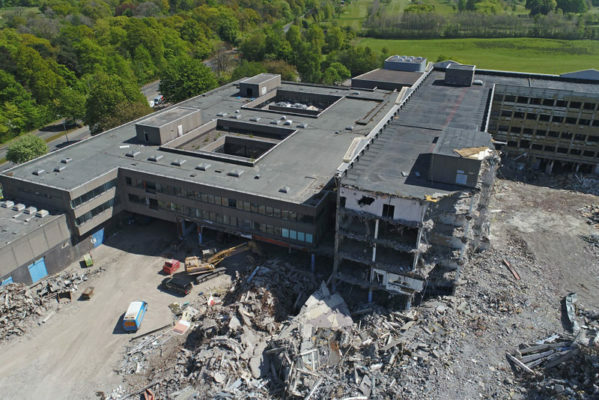 At Central Demolition we like to lead by example with our environmental focus. Since we unveiled our recycling division back in 1998 our business has grown from strength to strength. We now have a portfolio of waste management and recycling services which we offer to commercial, industrial, trade and domestic customers; as well as an impressive 92% average recycling rate (rising as high as 99% for some sites). An environmental focus is part of our fundamental business strategy. We successfully achieved our ISO 14001 environmental certification back in 2002 and have passed every audit since. This certification underpins our commitment to the environment, assists us in minimising our environmental impact, and guides us in compliance with all applicable laws, regulations and requirements. We have specific environmental objectives for our business, setting out our short-term objectives, medium-term aims and long-term goals. These objectives focus on key environmental areas including recycling, diverting more waste from landfill and carbon footprint reduction. Our environmental efforts begin within the business. For example, our Head Office building in Bonnybridge (which was extended, remodelled and refurbished between 2013-2014) has motion sensor controlled lighting throughout the whole building to reduce our energy consumption. The extension to the office also has self-cleaning windows (thus reducing water consumption) which are energy-efficient (thus helping to reduce our carbon footprint). We have water saving devices throughout our offices to reduce our water consumption. These are just a handful of examples demonstrating how we lead by example. We are actively working to become a more sustainable and environmentally-friendly business. We are in the midst of making a Resource Efficient Scotland pledge, which will see us strive to make improvements in the areas of Business Process, Staff Engagement and Supply Chain. We are also signed up to the Supply Chain Sustainability School, an initiative which provides us with resources to improve on different areas of our sustainability. It lets us benchmark ourselves, reassess periodically and improve the sustainability of our business. This has been of great use to us as our staff have improved their knowledge in vital areas including materials, water, and climate change and carbon. Our recycling operations are by no means small-scale. 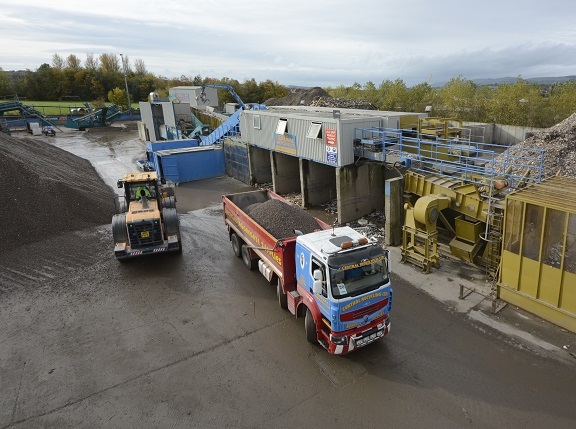 The centre of our operations is undoubtedly our state-of-the-art recycling facility in Bonnybridge. We also have a fully licensed recycling facility in Clydebank, a licensed landfill in Central Scotland and several recycling partnerships operational throughout Scotland. All of these facilities and partnerships allow us to recycle a significant volume of incoming waste – an average of 92%, thus diverting in excess of 8% of waste from landfill. 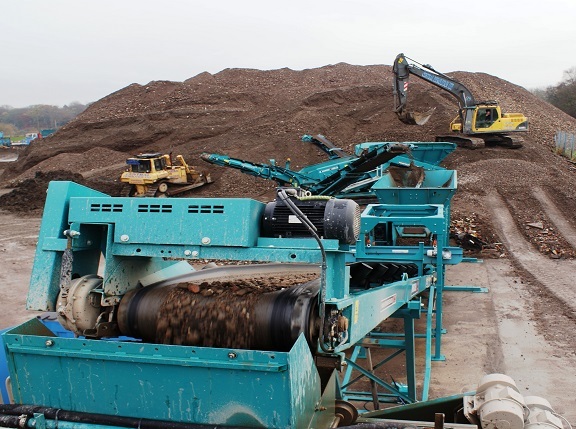 Our Bonnybridge-based recycling facility houses a vast array of machines, which are sourced from local distributor Blue Machinery Scotland and other major suppliers. 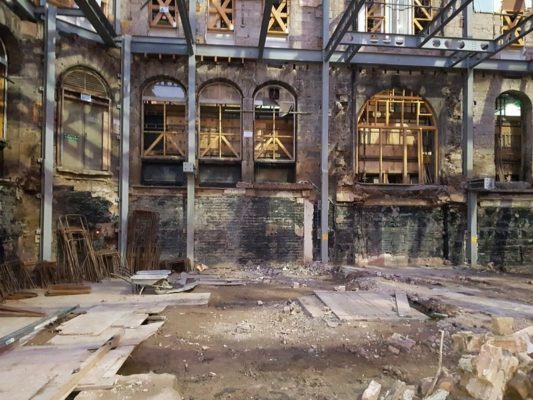 Our configuration of specialist machines allows us to process large volumes of construction and demolition waste for the production of a wide range of saleable reclaimed materials. 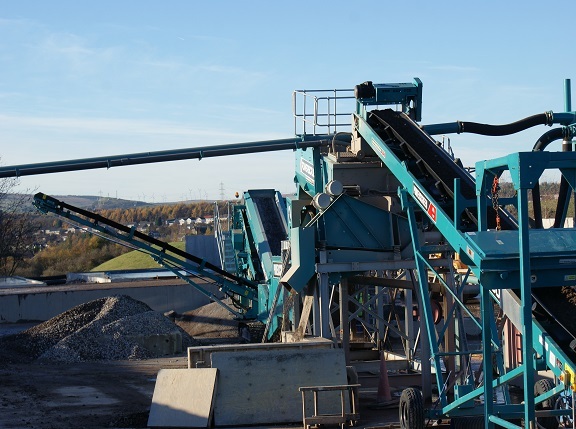 Since we began making significant and continued investments in a new recycling washplant and other recycling machinery, we have seen excellent results through increased reclamation of recyclables, end-product quality and recovered fine volumes. The technologies implemented increase our recycling capabilities in other unexpected ways. This includes sand, slurry and dirty washwater – the inevitable bi-products of the washing process – being further processed and reused within the washing system. We recycle as much waste as possible, and are recycling 100% of some materials: paper, cardboard, metal, plastic, UPVC, MDPE, wood, soil, sand and concrete. We submit quarterly returns to SEPA detailing incoming, processed and outgoing waste. As an environmentally-focused business, we are committed to diverting waste away from landfill. Our environmental attitude, processes and practices has led to our customer base expanding. To meet our customers’ demands we have been identifying and capitalising upon new business opportunities. 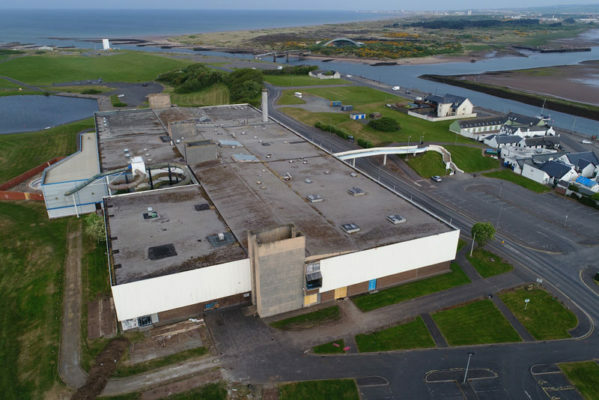 Our ability to recycle a “difficult” waste stream for Carron Phoenix helped us to secure the contract to provide them with all their waste solutions. 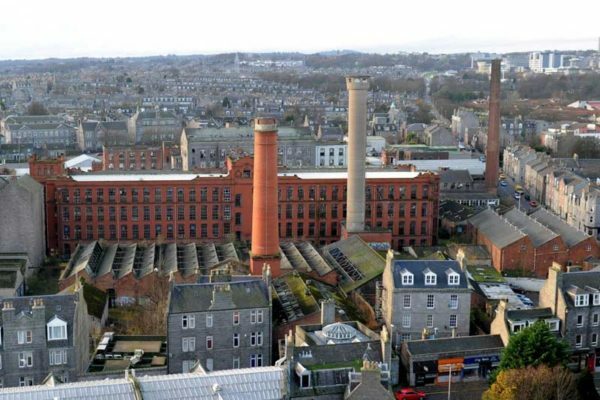 Our in-house processes and network of local partners enables us to offer UPVC recycling facilities to CR Smith and Central Scotland Joiners Ltd. We have also been supporting our clients in meeting their environmental targets – for example, we helped BAM to achieve a high BREEAM rating for one of their hospital sites. 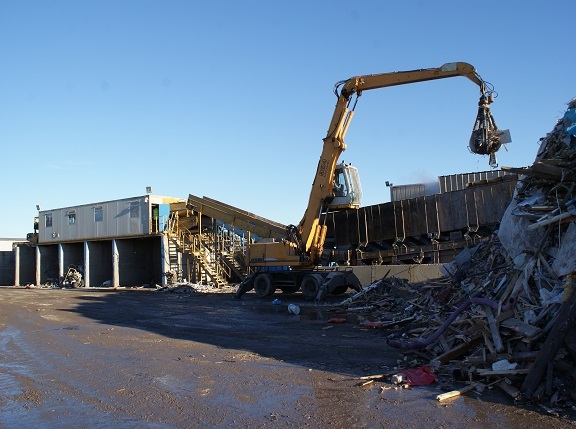 In addition, we offer on-site crushing so that demolition arisings can be re-used at the construction phase of projects. We also upcycle materials where we can. For example, we have a partnership with Yooz Reuse and Recycling who we invite to sites and let collect any materials which they feel they could reuse, recycle or resell at no cost as we know that our support will help their chosen good cause Active4All’s projects and therefore benefit the community. A core environmental strategy is not a chore or an additional expense, it is essential for our growth and success in the marketplace. We are committed to introducing the latest technologies in all areas of the business from plant & equipment to office systems. We have exploited new business opportunities as a result of our environmental focus, and our performance has improved due to the environmental processes and practices which we have implemented across our business. Our business not only has short-term environmental objectives but also long-term plans for the future.